Vitamin C is needed by the human body daily and cannot be made by our body (higher primates, guinea pigs and some birds cannot make vitamin c in their body so it must be consumed daily, all other animals can make vitamin c) The RDA for vitamin c is only just enough to avoid scurvy but vitamin c is needed in every metabolic process by the body. While whole food is an important way to get vitamin c, as a therapy it is not possible to get the amount needed via whole foods. 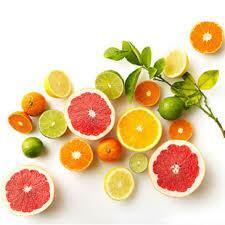 Foods that contain vitamin c include: red capsicum, raw broccoli, strawberries, citrus. Many medical professionals believe that a vast number of people are vitamin c deficient - therapeutic high doses of vitamin c (very large doses like 25,000 or 50,00mg and higher for example administered intravenously) and according to the Orthomolecular Medicine practitioners the following conditions have been successfully treated by Vitamin C over the past 50 years. Why havent you heard about it? No money to be made in treating disease with vitamins. But more and more integrative doctors are now administering intravenous vitamin C in place or as an adjunct to chemotherapy. I know someone who avoided skin cancer surgery on the tops of his ears by megadoses of vitamin C. There are now many more integrative medical practitioners who now offer intravenous vitamin C here in Australia which is great news for cancer sufferers.